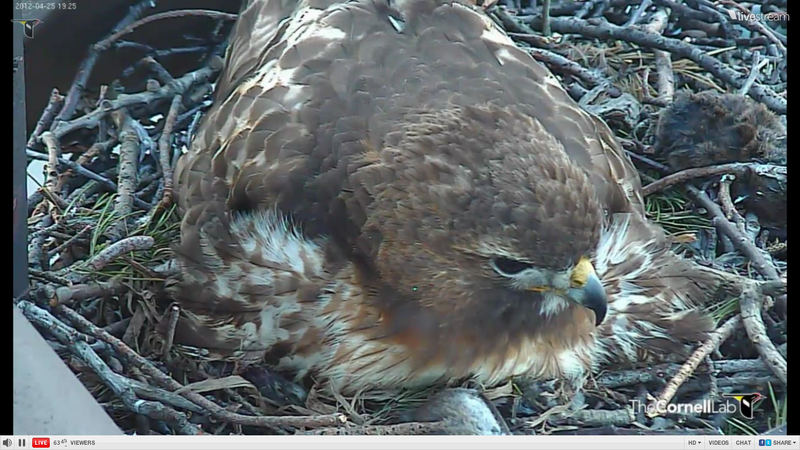 Those are screen captures* from when I was watching the Cornell Lab of Ornithology's Red-tailed Hawks nest webcam. 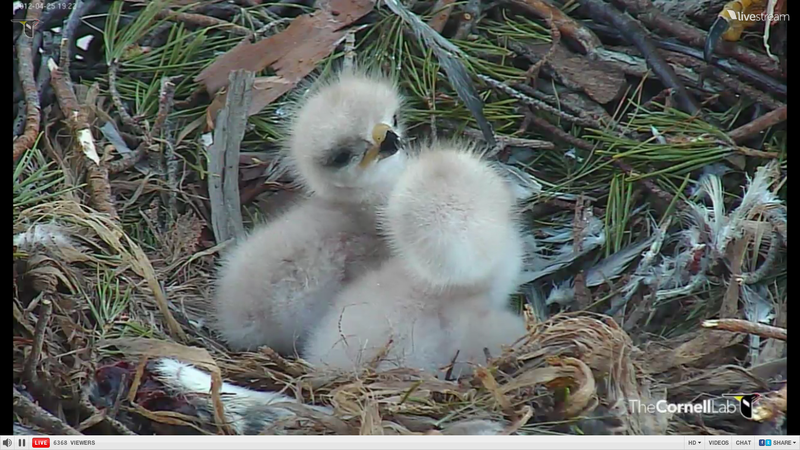 There's a also a live feed from a Great Blue Heron nest webcam, but I haven't managed to get any real good screen captures from that yet. I managed to stumble onto the times when the three hawk eggs were hatching (which were each a day apart!) and I found it very hard not to constantly check in for any progress. 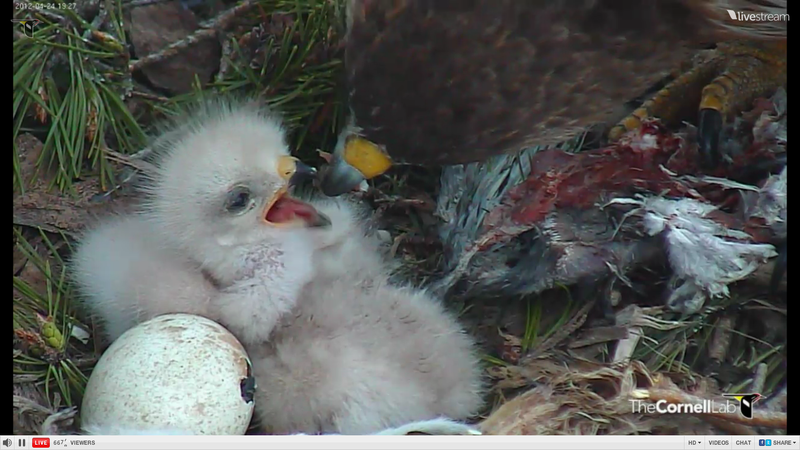 If you're at all interested in birds or nature in general, I highly recommend checking in with these nests over the next few weeks as the young birds grow (just be prepared for a little bit of gore - circle of life, and all). You can learn a lot just by watching, and also by reading and asking questions in the online chat which appears next to each camera's live feed. The Cornell Lab of Ornithology is a fantastic year-round resource for nature lovers of all ages and experience levels. Visit their main website at www.birds.cornell.edu for information on the lab and its work, and www.allaboutbirds.org for their online guide for bird-watchers. And yes, the Cornell Lab of Ornithology is a non-profit institution which is always happy to accept donations! 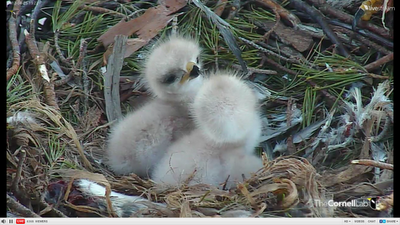 *All webcam images are property of the Cornell Lab of Ornithology, which I'm hoping they won't mind me using here.